Pierre-Louis Mascia modelling one of his designs at his Pitti Uomo stand. 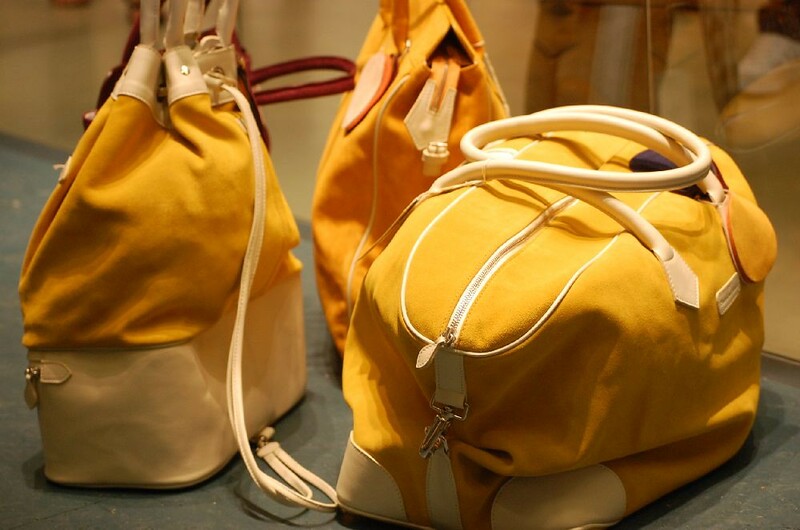 Pierre-Louis Mascia started his accessory line with a bag inspired by composer Maurice Ravel. 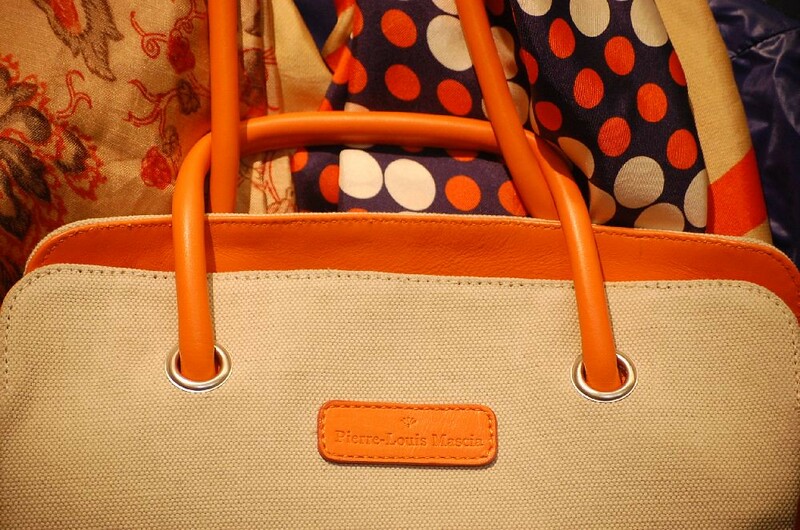 He focused only on this bag, producing different versions of the same model and this piece became rather successful. After that he imagined Ravel, a 30s dandy, with another accessory and added to his wardrobe a scarf. 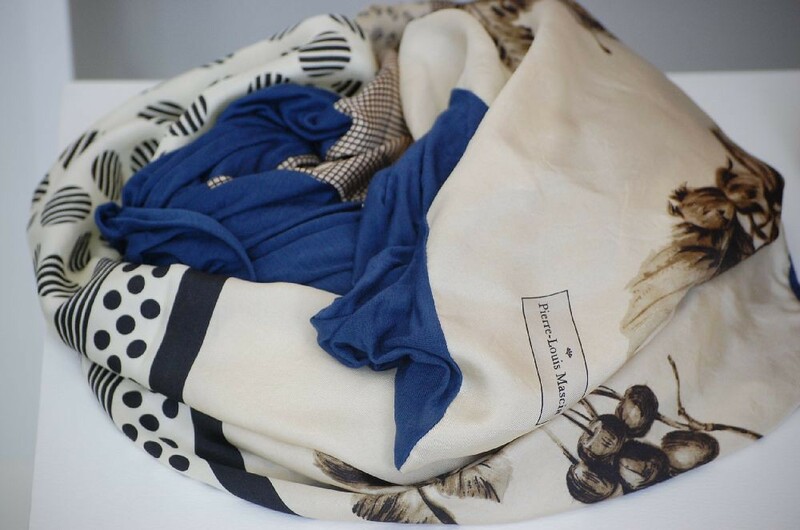 Mascia felt it was the best choice, as a scarf allows you to mix your artistic inspirations - such as paintings - with the functionality of an accessory. 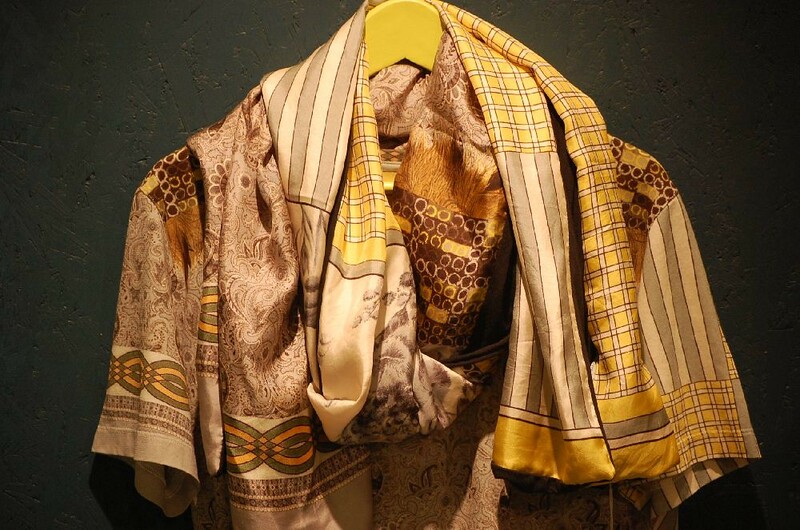 He began working on different motifs, mixing cashmere, traditional patterns and paintings. It felt a bit like cooking, throwing into a cauldron different ingredients, it was fun yet very interesting. 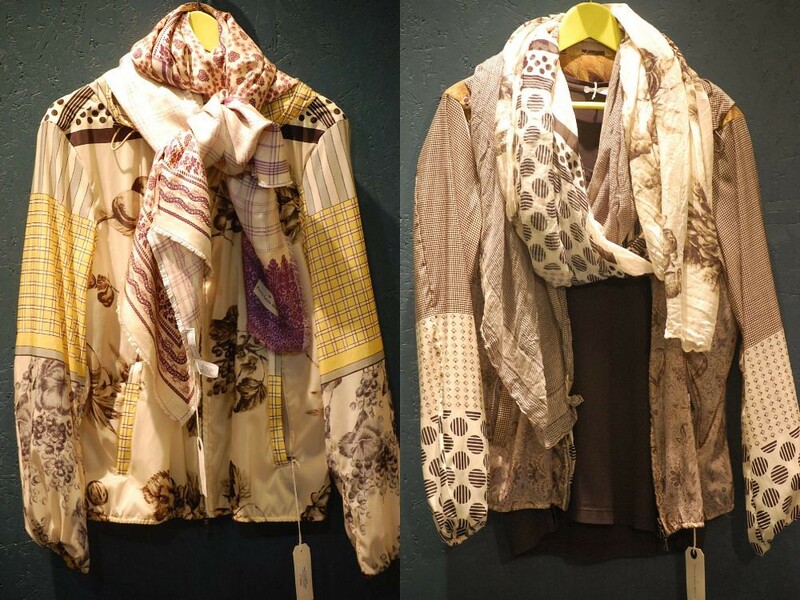 Recently Masica has added jumpers and jackets. In a way, this is a natural progression, a way to grow taking one step at the time.Perhaps next season he will add trainers to the lineup. 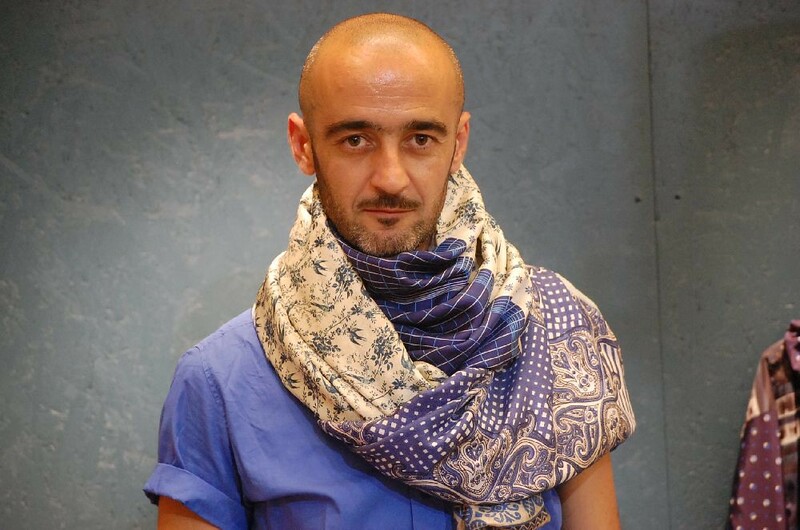 Many people have contacted Mascia asking how to best tie his scarves or to offer an idea for a new style, so he recently asked a friend to shoot a video of himself styling one. He soon realised that different people have different ways of tying their scarves, so started asking his friends how they did it and it soon became a sort of fashion viral! If you've not done so already I urge you to visit his site and see the videos for yourself. 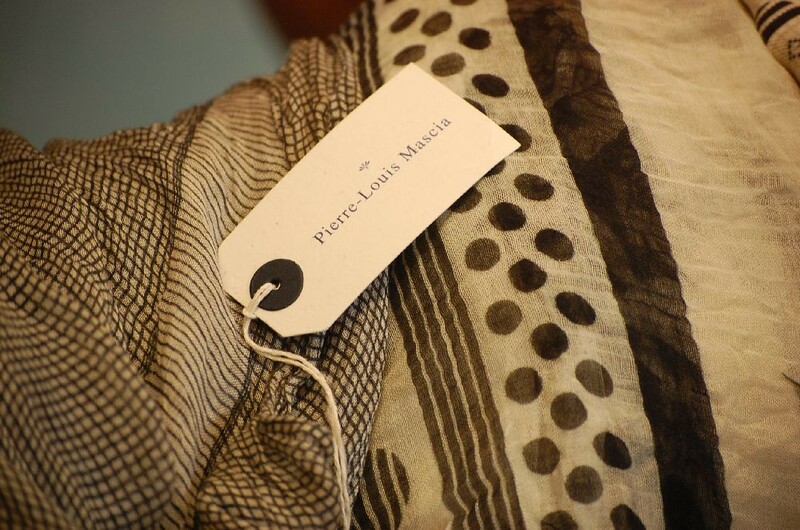 In such a brief period there have been so many appetite whetting discoveries but Pierre-Louis Masica's accessories line is one of my favourites. wonderful artwork those scarves are. i can imagine them jazzing up any simple outfit. an amazing display of true creativity. 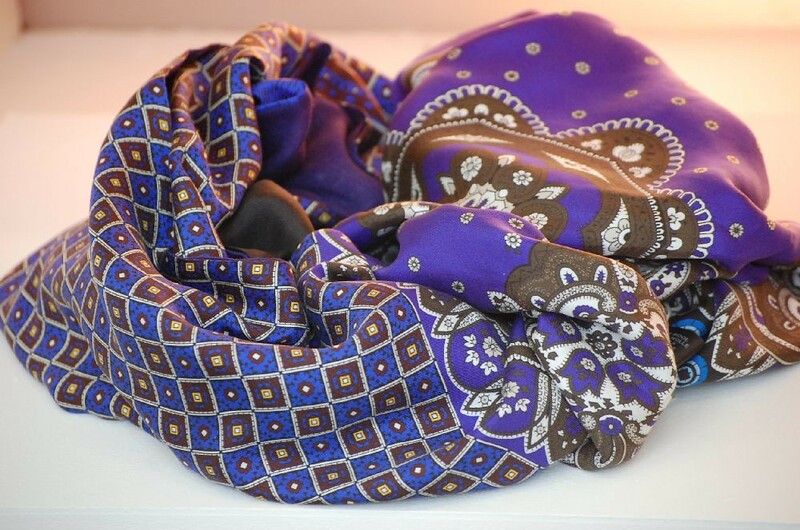 I am addiccted to scarves and I am sure that men have just more style with a simple classic outfit, but a great colorful valuable scarf. my favorite has to be the scarf with the "drawn on" cherries. Videos on the site are pretty cool. The patterns on the shirts are all over the place but they aren't offensive. One of the few labels that really have a clear understand of mens'wear. KC and Fashion Life Coach: Agreed! I'm certainly going to experiment with colourful scarves. Joy: I know what you mean. Ordinarily the mix of prints would put me off but here they work beautifully. Alex Ingram: Thanks, will do! Mat: Me too! Not for much longer though I hope. 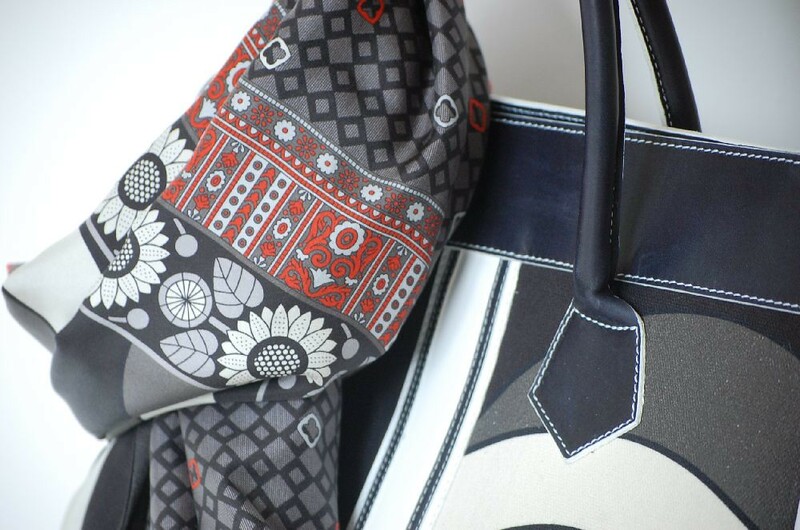 Masha: The bags are beautiful but it was the scarves that really tickled my fancy. The Nyanzi Report: It is a brilliant line. I'm kicking myself for not knowing about it sooner. I'm looking forward to see what Pierre turns his hand to next. Oh lord, I want one. This is a good blog post, I was wondering if I could use this piece of writing on my website, I will link it back to your website though. If this is a problem please let me know and I will take it down right away.